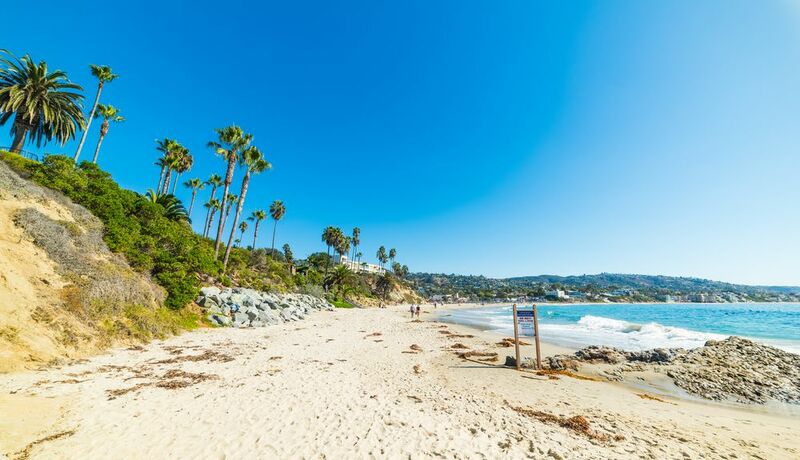 Enjoy the art galleries and other features of Laguna Beach. This scenic city is known for its beaches, seaside and restaurants. Main Beach Park and Huntington State Beach are just a couple of the must-sees in the area. Whether you're planning a family holiday, romantic stay or friends trip, vacation rentals offer features like full kitchens and laundry facilities for a more convenient stay. Travelers speak highly of Laguna Beach for its surfing. If you're hoping to enjoy some warm-weather activities on your vacation, August, September, July and October are the hottest months to visit, when temperatures average 80°F. The nearest airport is in Orange County, CA (SNA-John Wayne), located 10 mi (16.1 km) from the city center. If you can't find a flight that works for your travel itinerary, you could also fly into Fullerton, CA (FUL-Fullerton Municipal), which is 24.8 mi (40 km) away. Where to stay around Laguna Beach? Our 2019 accommodation listings offer a large selection of 2,245 holiday lettings near Laguna Beach. From 1,113 Houses to 736 Condos/Apartments, find the best place to stay with your family and friends to discover Laguna Beach area. Can I find a holiday accommodation with pool in Laguna Beach? Yes, you can select your preferred holiday accommodation with pool among our 557 holiday homes with pool available in Laguna Beach. Please use our search bar to access the selection of holiday rentals available.